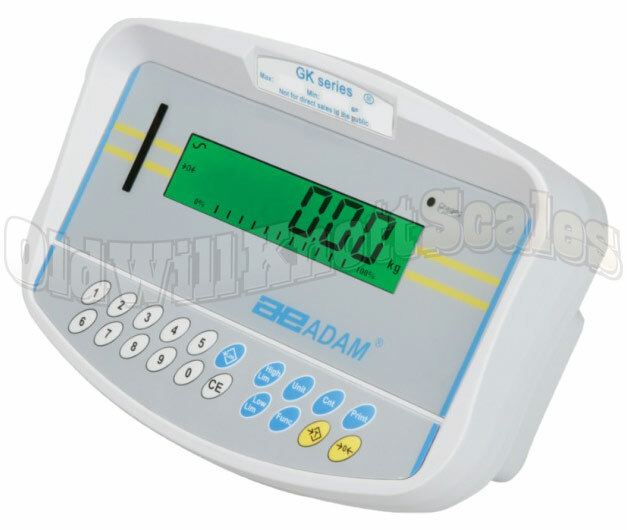 Size 10.2" x 6.7" x 4.5"
Class III NTEP Approved Legal For Trade The National Conference on Weights and Measures certifies the Adam GKaM Legal for Trade with Certificate of Conformance Number 12-068. 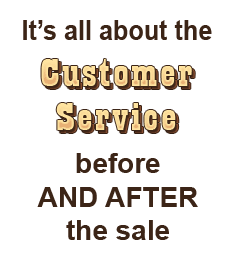 You can count on getting accurate readings time after time. Checkweighing Feature Make sure ya get your weights just right with the check weighing feature. When ya weigh in this mode, you can set weight limits for the stuff you're weighing. So, if your sample weight is too low or too high...the GKaM will sure let ya know. Tare & Pre-Tare Feature The tare button on this digital indicator can be pressed to "zero out" the weight that is on the platform. You can then add more weight and the GKaM will only display the weights of the items you're adding... this sure is useful. You can also pre enter your tare weight with the numeric keypad. Capacity Tracker To help make sure ya don't accidentally overload your scale while your mixing up batches or packages, this indicator has a capacity tracker right on the display. This will let ya know when you're getting close to capacity, so ya don't go over. Totalization You can use this feature to repeatedly add the amounts on the scale together. This is a great feature if ya need a scale with cumulative weighing for compounding ingredients or check weighing. Does This Thing Count? You bet it does! All ya need to do is weigh a sample amount of pieces, so the GK aM can know how much each piece weighs, then start counting. You'll be finished in no time. Counting feature is NOT legal for trade. RS-232 Serial Port The GKaM has an RS232 port built right in. This is important if you want to send your weight readings and other data to an external source like a computer or printer. Dynamic Weighing This indicator has a really cool dynamic weighing feature. This feature allows you to accurately weigh unstable items by calculating the average weight of what's on the platform. Rechargeable Battery Pack You won't have to worry about searching high and low for a wall outlet to plug this indicator into. The GKaM has an internal rechargeable battery with up to 70 hours of battery life on a single charge! Easy To Clean, Sealed Keypad You won't have to worry about dust and dirt getting stuck under and around the buttons on this indicator...The GKaM has an easy to clean membrane keypad with accurately labeled keys for easy weighing. Programmable Auto-Off To save power, Adam designed the GK-aM with a programmable auto off feature. Set the auto off timer on the GK to turn off after a set amount of time of no activity, or to stay on until ya turn it off yourself. 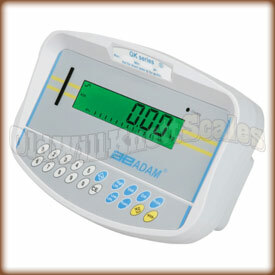 Programmable Backlit Display This Adam indicator has a backlit weight display ya can program to always stay on, turn on with the press of a button or weight change, or to stay off. This feature is great for saving battery power. 2 YEAR MANUFACTURER'S WARRANTY When ya get this indicator, ya need to go over to the Adam Equipment website and register it to receive a two year warranty.